The sword frog or dagger frog is an absolute must-have for the warrior who plans on going into combat. But what about the warrior who wants both? 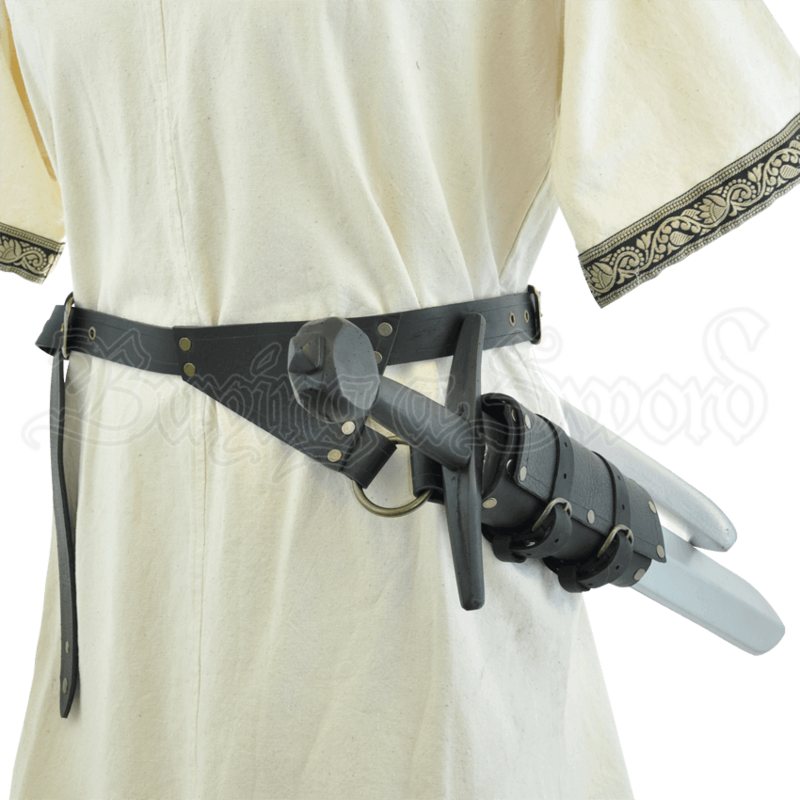 This LARP Sword and Dagger Belt is the perfect way to keep your favorite blades close at hand! This sword belt is made almost entirely from 9-10 oz. leather and features an adjustable buckle for convenient and comfortable wearing. It features, on the left side, a supported sword frog that is perfect for storing a LARP blade for a right-handed draw. This belt also features a second frog, designed to accommodate daggers. On the back of the belt, near a second buckle is a frog that supports a dagger, also designed for a right hand draw from behind the back. This sword and dagger belt is available in two colors, either brown or black, and it comes in three sizes. Each size features two adjustable buckles.